Hotel Taj Galaxy is an intimate hotel in Agra provides dramatic views of Agra Culture. 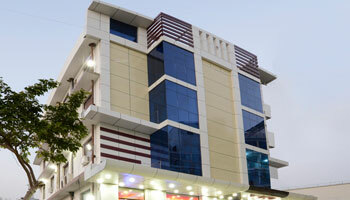 Agra's most conveniently located hotel in the city offering smart, contemporary and best in class serve & facilities. Minutes away from most tourist attraction. Hotel Taj Galaxy is a newly developed elegant property adopting the Contemporary ideas for business visitors and tourists from around the world. Hotel is conveniently placed amidst all major tourist attractions. The Hotel offers the finest environment for business & Tourist Travelers. Currency Exchange, Parking, Travel Counter, Room Service, Doctor on Call, Laundry Facilities, Security Guard, Backup Generator, Breakfast Services, Airport Transportation. Air Conditioning Room, Wakeup Calls, Attached Bathroom, Iron/Ironing Board, DVD Player, H/C Water, Toothbrush/Razor on Request, House Keeping, Cable/Satellite TV.